The launch of new iPad models in the first half of this year has been more or less confirmed. According to a new report by Macotakara, Apple will announce the next iteration of its smallest tablet version in the next couple of months. 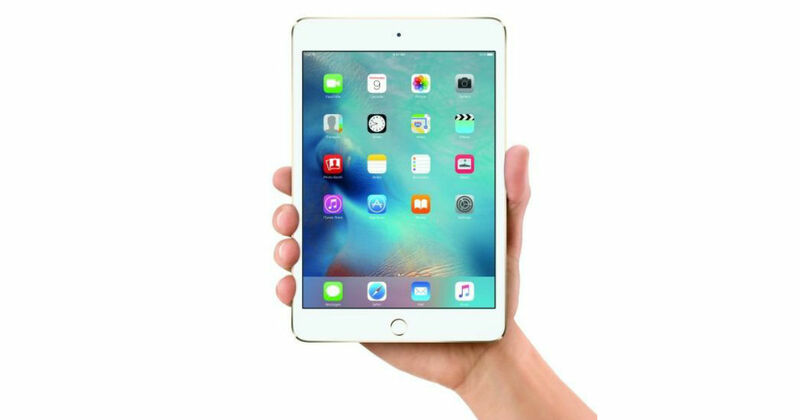 The iPad mini 5 will reportedly feature an identical design as its predecessor the iPad mini 4 that came out four years ago. Furthermore Macotakara notes that it will continue to feature the Lightning connector and 3.5mm headphone jack, despite last year’s iPad Pro dropping both in favour of a single USB-C port. The only physical change iPad mini 5 will reportedly have is the change in position of the rear microphone, which might be shifted to the top centre with the upcoming tablet. The sixth generation of the regular 9.7-inch iPad also uses a similar microphone placement. As for the size, it is said to have dimensions of 203.2 x 134.8 x 6.1mm. It is unclear if it will support Apple Pencil; if it indeed does support the Pencil, it will be the first-generation stylus, not the second iteration, the report claims. We can expect to see thick bezels around the 7.9-inch display, Touch ID for biometric authentication, Lightning port, and a 3.5mm headphone jack on the upcoming iPad mini 5. However on the inside, Apple is said to be planning a major bump in specifications, with either the A10 Fusion or A10X Fusion chipset doing duty, which would give it a similar amount of power to the 2018 9.7-inch iPad or the 2017 iPad Pro, respectively. Apple will be looking to market the device as a low-cost tablet that will be aimed at price conscious markets such as India.